Microtech Combat Troodon Automatic OTF knives. 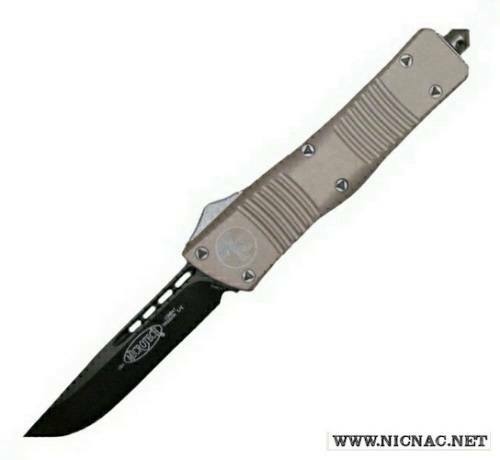 The Combat Troodon is a Dual Action OTF Auto Fire and Auto Retract that is 9 inches overall open length, 5.2 inches closed with a 3.75 inch blade. It is 25% larger than their flagship, the Microtech Troodon.